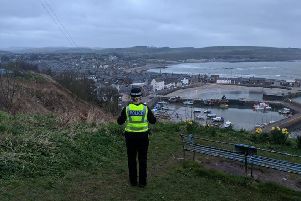 Police have appealed for witnesses following a sneak-in theft at a property at MacDonald Road in Stonehaven. The incident happened between 6.45am and 12pm on Monday, January 9. A number of items were taken including electrical goods and clothing valued at a low four-figure sum of money. PC Steven Inglis said: “We are appealing to anyone who may have seen or heard any persons acting in a suspicious or unusual manner in the area to contact police on 101.